Kent batsman Heino Kuhn believes county colleague Joe Denly is international class. South African Kuhn, who turned his back on any future with his own national team to sign a Kolpak deal at Canterbury, trails the one-time England batsman by three points in the Professional Cricketers' Association's MVP rankings. The 34-year-old said: "I see Joe as an unbelievable player, I call him the three-in-one player. He's a great fielder, a very good bowler and a special batsman. "Batting with him, he makes it look effortless. I'm hoping he gets another crack with England because he is in great form. "I know England have a lot of quality players but he is in great form and I think it would be a great time to get him in there, especially with his bowling offering a different dimension." Denly top-scored in last year's English domestic Twenty20 competition with 567 runs and began this summer's Vitality Blast with a hundred and three wickets in the win over Surrey. Kent are 1212/1 to win the Vitality Blast this year while Surrey can be backed at 1212/1. 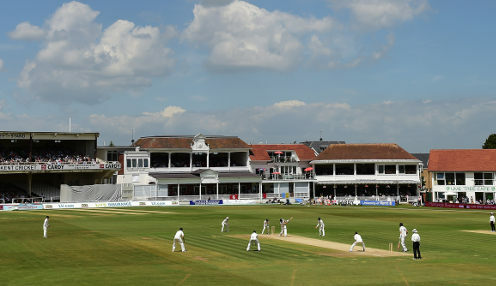 Kuhn, meanwhile, hit an attacking, unbeaten 67 in another eye-catching victory in Kent's second match, against Somerset at Taunton, to keep up their 100 per cent start to the competition. It extends the white-ball form of Sam Billings' team, after they finished as runners-up in the Royal London Cup.